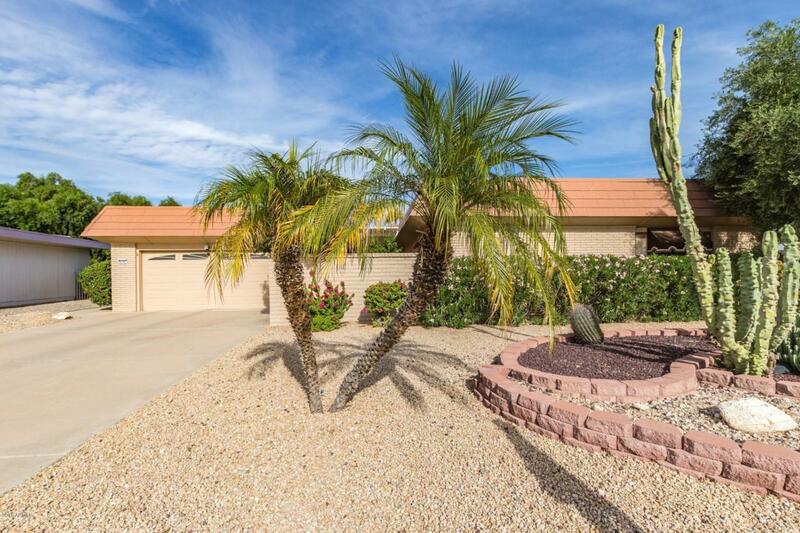 Wonderful home situated on a corner lot in beautiful Sun City can be yours today! 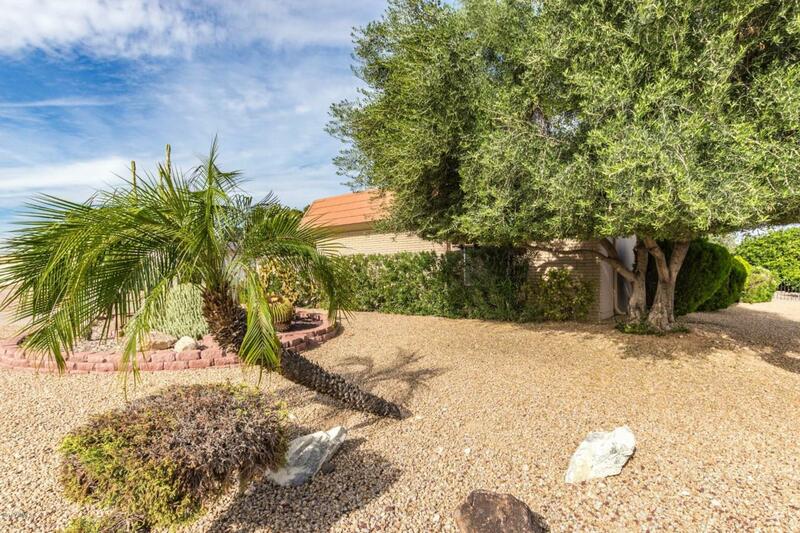 This home features a huge yard with sparkling private pool, and exterior fireplace, perfect for entertaining your guests. 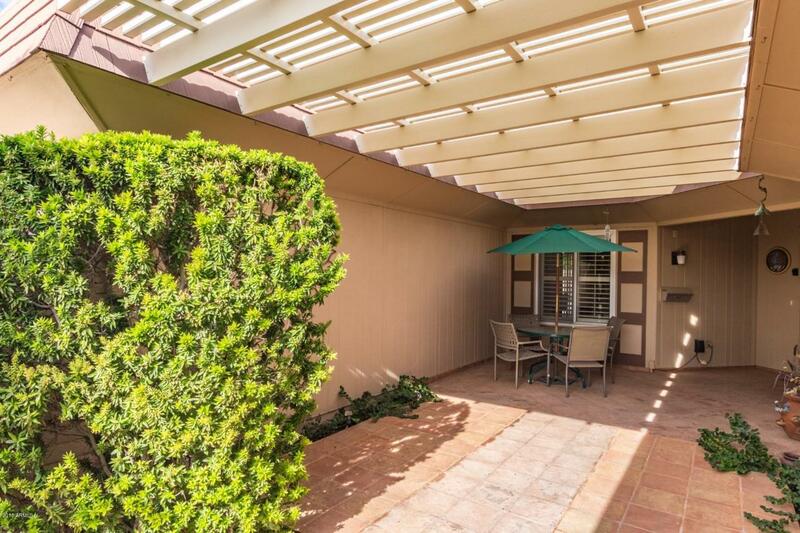 You will love the private courtyard that leads you to the front door. Inside the floor plan features a foyer, a large den, 2 spacious bedrooms, and plantation shutters throughout. The kitchen is complete with all black appliances, granite counter tops and gorgeous custom cabinetry. 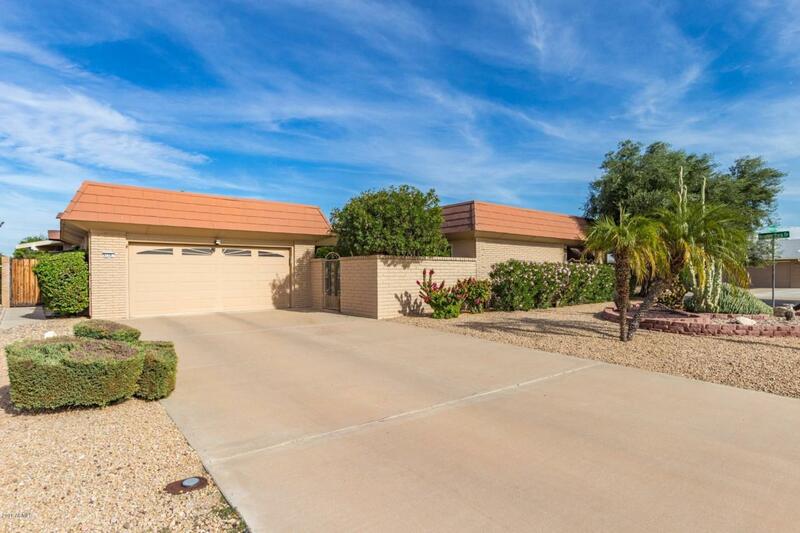 Don't delay, see this one today!